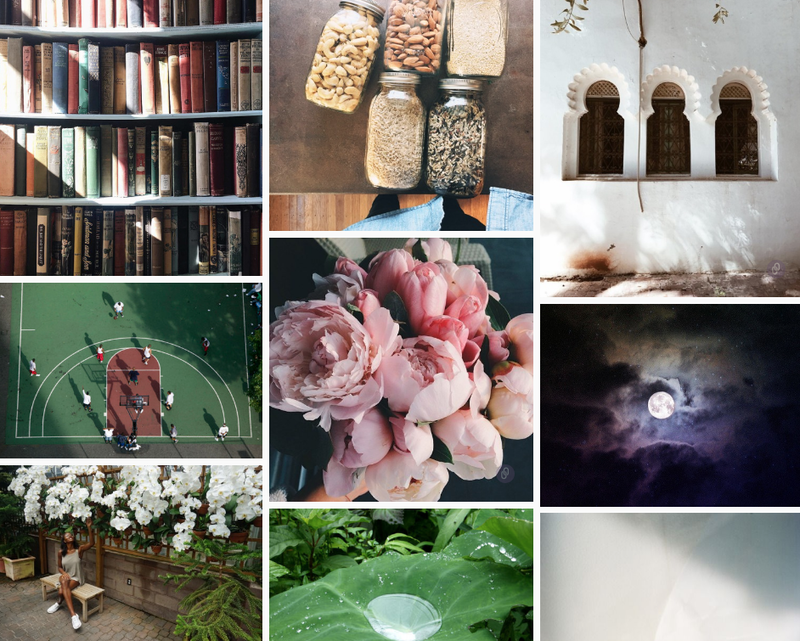 Nothing but loving | the active spirit. I didn't get up until 9am this morning. That's later than I usually get up, but not so late that I'd be running later for anything. Some days I work from home, and some days I go into the office. Today is an office day, and I usually wait for traffic to subside and make my way across town around 10. I'm a very slow mover in the morning. No matter how many cups of coffee or green tea I've had (usually just one, because too much caffeine makes me want to crawl out of my skin), I always take longer than I'd care to admit to get ready and head out the door. I don't even know why. I don't have this elaborate makeup routine; I rarely wear any noteworthy outfits or "looks" and my hair is usually pulled back/up in a bun. In theory, it should take me 15-20 minutes to shower and get ready, but it can take me up to an hour and a half. An hour and a half. It's worth mentioning, however, that once I'm out the door, I'm the quickest little mover I know. I have mastered running errands in the most efficient manner possible, and some days are methodically arranged in my handy-dandy date book. Starting those days is typically the problem, and that was definitely the problem today. I first woke up around 7:30, but I forced myself back to sleep until 9. Then I got up and realized how much I didn't want to do a single thing all day. I didn't want to change out of my sweatpants. I didn't want to throw some snacks in my tote for the day. I didn't want to touch my hair. I didn't want to drive anywhere. I didn't want to do a-n-y-t-h-i-n-g, and briefly, I considered it. I poured myself a bowl of Apple Jacks, sat on my couch, watched Golden Girls and didn't bother to look at the clock until the episode went off. Eventually I came to my senses and got ready (and threw those snacks in my tote because a girl needs her snacks), but man. 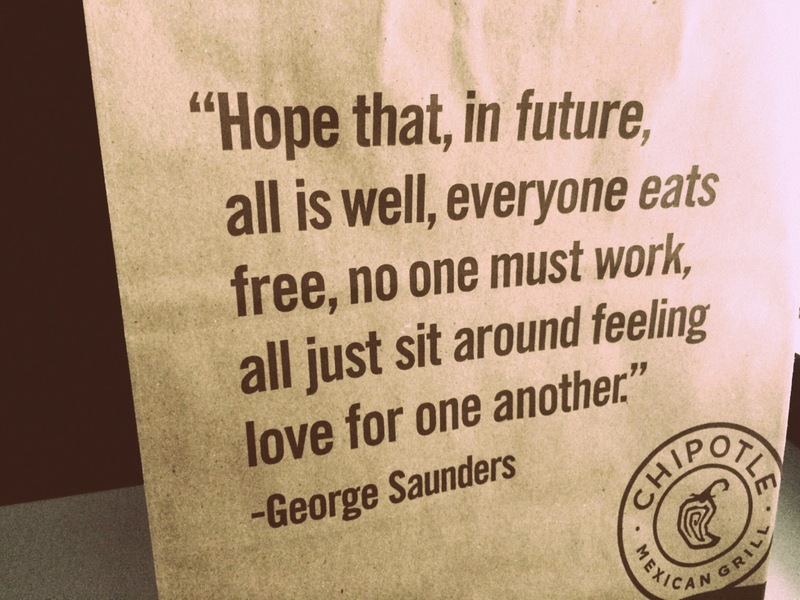 If only it could be as simple as that quote on the Chipotle bag. I would've been just fine doing nothing but loving today. So here I am, taking a little break from my workday, typing this up and looking forward to finding some good pho to eat for dinner, then going home, lighting my sage candle, curling back up on the couch in my sweatpants with the A/C blasting, catching up on The Strain and Pretty Little Liars (bows head in shame) and finishing the night with a few chapters of The Cuckoo's Calling.